Accomodation: SEEDS volunteers will be staying in a small local house with access to kitchen and bathrooms and will sleep on mattresses on the floor. Please bring your own sleeping bag. 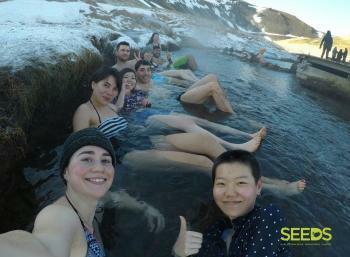 WORK/PROJECT: SEEDS volunteers will have the unique opportunity to work in the hot spring capital of the world, Hveragerði, volunteering for the municipality. The town is built above a hot-spring field, and derives its name from the Icelandic word for hot spring: hver. Volunteers will mainly be working in the town of Hveragerði and the neighbouring surroundings. The main tasks include pulling and removing weeds and applying preservation on wood. Volunteers will also do some work in a forested area in the municipality, such as making and maintaining walking paths. Other tasks might be cleaning up and light maintenance in the public recreational areas of the township. No previous experience is necessary but the work is demanding and requires a good physical condition. The work can be repetitive as general gardening and maintenance tasks tend to be. Most of the work is outdoors, so volunteers shall be ready to adapt and be flexible with the working and free-time schedule, as depending on the weather, we may not be able to perform some of the tasks or activities planned. Volunteers need to be prepared for working outdoors, be prepared to experience all kinds of weather and bring warm winter clothes as the tasks take place outside and it can get rather cold. Bring warm under-layers, waterproofs, walking shoes/boots, a good sleeping bag, hat scarves and gloves. The camp happens around the summer solstice, when the sun hardly sets and the nights are almost as bright as the days. The bright nights are magical and staying awake enjoying the beautiful surroundings is unique. ACCOMMODATION: SEEDS volunteers will be staying in a small local house with access to kitchen and bathrooms and will sleep on mattresses on the floor. Shower facilities in the building are basic but the participants will have access to the local swimming pool. Please bring your own sleeping bag. Volunteers will receive food supplies and be in charge of cooking and cleaning activities. Do not forget some traditional/typical food, drinks, recipes, music, games or movies from your country for the international evening. LOCATION: Hveragerði is a South-Iceland town renowned for greenhouse gardening and its geothermal springs. It is located 45 km from Reykjavik, and may be seen from the vantage point of the Kambar mountain slope, as it spreads out across a 5,000 year-old lava field. Pillars of steam from the numerous hot springs in the town may be seen rising up out of the ground. In summer the town is a green community, abounding in trees. A green revolution is taking place as areas of woodland expand in and around Hveragerði, with the locals working together in order to further develop their blossoming town. The surroundings are a paradise for outdoor activities. To the north of town is one of the country’s largest geothermal areas, Hengill, where plumes of steam can be seen from far. Hiking trails stretch from town through Ölfusdalur valley, into the Hengill volcanic area, all the way to Nesjavellir and Þingvellir National Park. Along the way are warm springs where bathing is possible. Departure is at 10:00 am in the morning of May 27 from SEEDS office in Reykjavik. Participants that cannot arrive on time (later or delayed flights) will be sent information on how to reach the camp on their own. 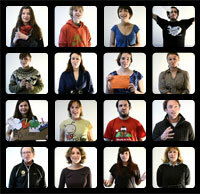 EXTRAS / SPECIAL REMARKS: Participation fee EUR 300 (Euros). Please note that the fee can either be transferred in advance via bank transfer, or paid for on arrival. The fee includes the transportation from Reykjavík to the camp and back (on the first and last day of the camp) and includes the Golden circle excursion, which includes the magnificent Gullfoss -Iceland’s most famous waterfall, Geysir –the first geyser known to modern Europeans, and Þingvellir National Park –a rift valley that marks the crest of the Mid-Atlantic Ridge. SEEDS volunteers will have access to the local swimming pool. There are also innumerable walking trails in the area that SEEDS volunteers will be able to explore in their free time. Other excursions can be arranged in the free days for SEEDS volunteers at discount fares (for example South Shore, Reykjanes or Snaefellsnes Peninsula).